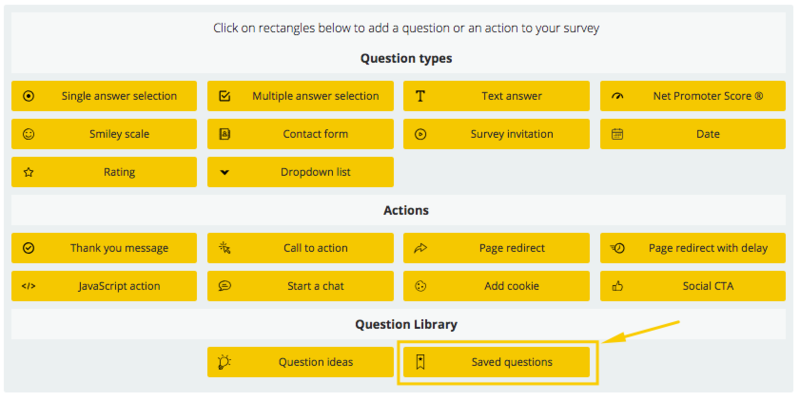 You can save questions you’ve already created and then add them to other surveys. To save a question, just click on the bookmark icon at the top of the question. To remove this question from the library, simply click on this button again. 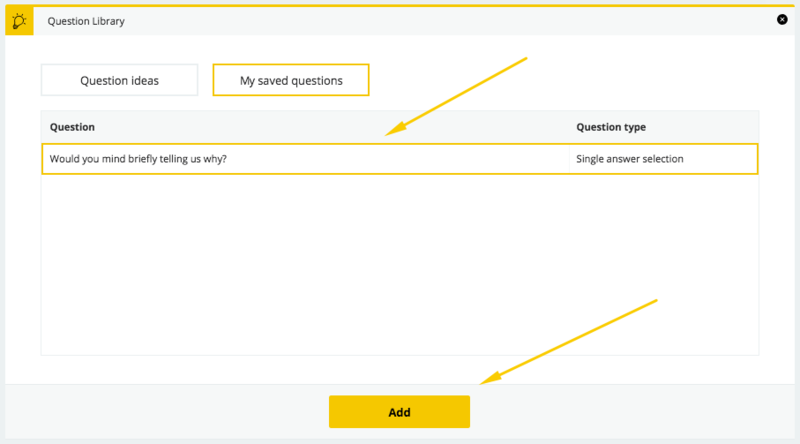 Click on Next step button and pick Saved questions from the list of steps. You’ll then see a list of your saved questions. 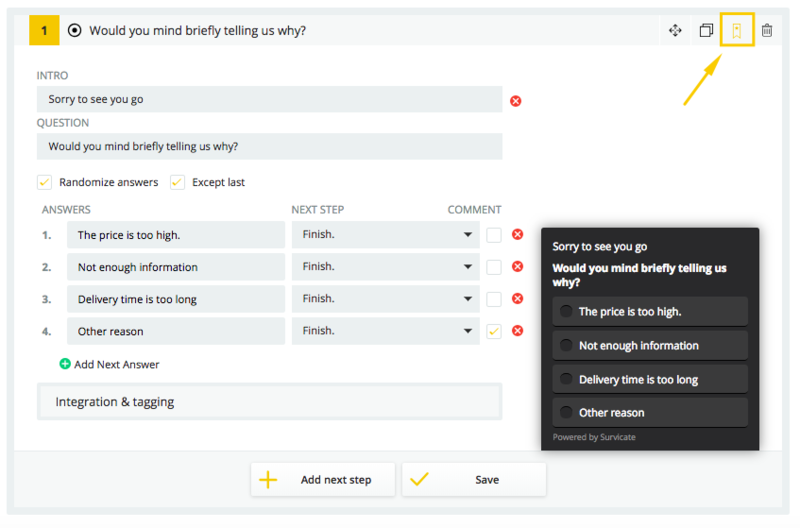 Just click on any of them to add it to your survey.